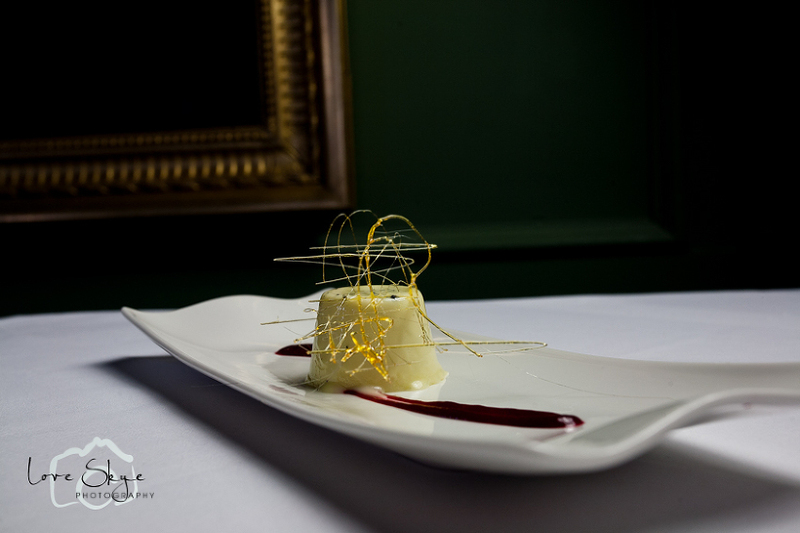 What else would you say to Marcello Tully, the chef at the Michelin star holding Kinloch Lodge hotel? Especially if he was asking us to photograph the dishes he was preparing for a charity cookery book? Handily, on the day that the shoot was to take place we had a pupil from a local high school joining us for work experience. Not only could we bore her rigid with our camera geekery we would have an extra pair of hands on the shoot. This was to be a fairly hectic session. We had to fit in with the hotel’s dining schedule and that meant it all had to take place in the dining room between breakfast being served and lunch being prepped. No pressure. 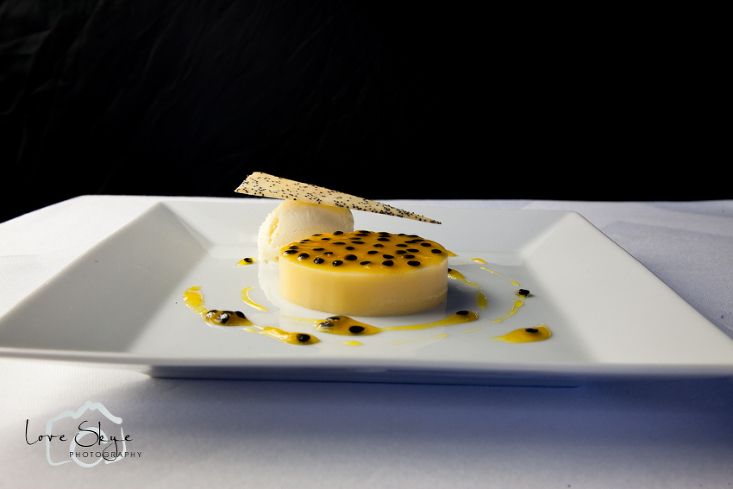 What makes food photography fun is that you have to be careful precise and measured in your approach. Lighting and focus has to be just right in a highly detailed fashion. You have to create something that has colour, depth and vibrancy in the manner of a classic still life painting. You also have to do all this at pace. Marcello was aware of the impending lunchtime and being the holder of a Michelin star was more than able to have each dish ready before you were finished with the previous one. Plates of beautiful food appeared every 10 minutes or so and only looked at their best for a few minutes so there was little rest between shots. So we had carefully crafted shots created at breakneck speed. We soon lapsed into our usual division of tasks. One of us does what we are meant to do and the other wanders off to try something a little different. Rosie and our new assistant took charge of shooting the dishes in the set up that had been agreed with Marcello with lights and reflectors and I did a few with alternative backgrounds. I remember paintings I looked at for many years in the Kelvingrove Art Gallery and the Burrell Collection in Glasgow that all seemed to contained pewter mugs, cheese, fruit, veg and maybe a pheasant or duck whose head drooped off the edge of the table. They were dark, shadow filled images and I was intrigued by them. I was attracted to a suitably dark corner with a huge portrait with a large gilt frame that would be an interesting backdrop for some pictures. I was trying to hark back to the still lives. 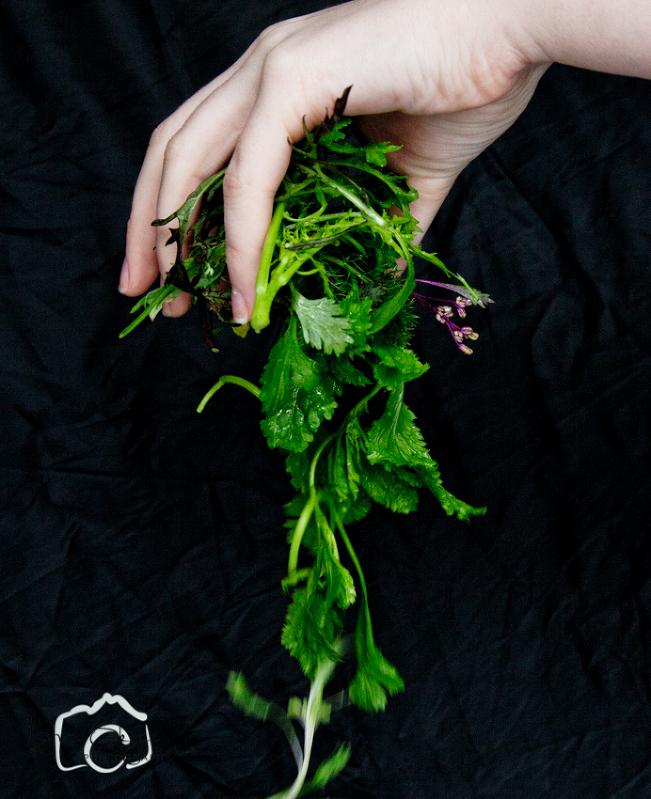 Since we had an assistant with young and photogenic hands she was photographed dropping some foliage. This was done to satisfy Rosie’s long held hankering for such an image. It was somewhat of a happy surprise when we received our copy of the book to find it on the cover. Images of chefs usually have them standing calm and cool in the kitchen surrounded by the flames, steam, smoke and hurly burly of the kitchen or outside the door of their restaurant. We decided to be different. 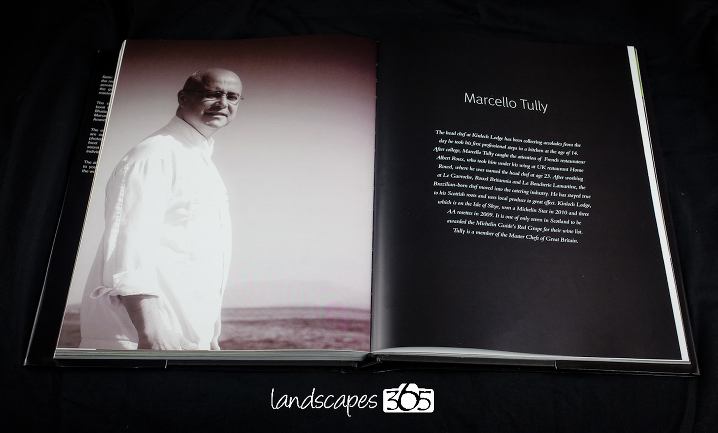 That’s why Marcello’s portrait was taken at the end of the local pier looking out over the sea that surrounds Skye. 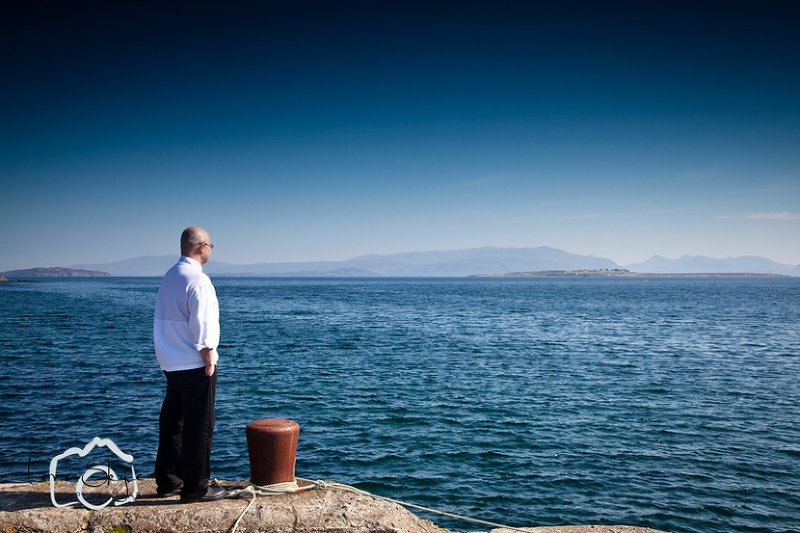 I could witter on about how so much of what is caught here it cooked at the Kinloch but to be honest it was because I liked the contrast of the white chef’s jacket with the blue sea and sky. I was also angling for a double page spread. Which I managed to hook. Hopefully our images, the images created by all the other photographers involved and more importantly the work of the chefs have made a contribution to those who need help in getting on to that important first step to a better life.